What kind of place is Tsubame-Sanjo ? Tsubame-Sanjo refers to the Tsubamesanjo area which is located almost in the middle of Japan and centered on “Tsubame City” having a population of about 80,000 people and “Sanjo City” having a population of about 100,000 people. Tsubame-Sanjo is in a location that can be reached within about two hours from Tokyo Station by Shinkansen (bullet train) and about 4 hours from the Tokyo metropolitan area by using the highway. Tsubame-Sanjo is not only close to the Tokyo metropolitan area but also a highly convenient area requiring a very short time of transportation by air to Osaka and the Hokuriku region where World Heritage Sites can be found. 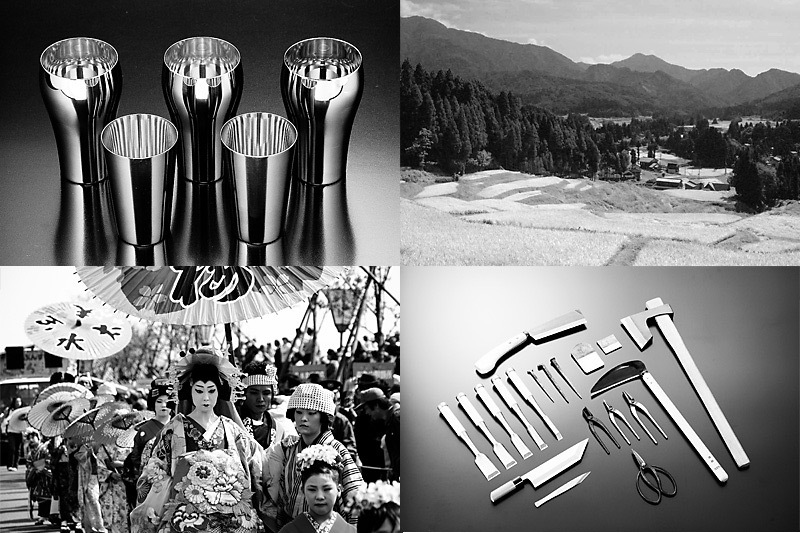 The industry of Tsubame-Sanjo started during the early Edo period by producing “Wakugi” (Japanese nail) and the processing technology inherited from pioneer craftsmen is utilized nowadays in the manufacturing of hand hammered metal crafts and sharp-edged craftsmen’s tools. Currently, Tsubame-Sanjo forms a major industrial cluster area of industrial products which inherited the ancient tradition such as cutting tools, work tools, metal tableware and others products making its name known of course in Japan but also in the world. In addition, the Ikarashi River and the Nakanokuchi River are running along with the Shinano River through Tsubame-Sanjo so this area surrounded by an abundant nature is also a treasure trove of food. The commitment of farmers sparing no efforts to carefully cultivate rice, vegetables and fruits cultivated carefully is impregnating those delicious products.